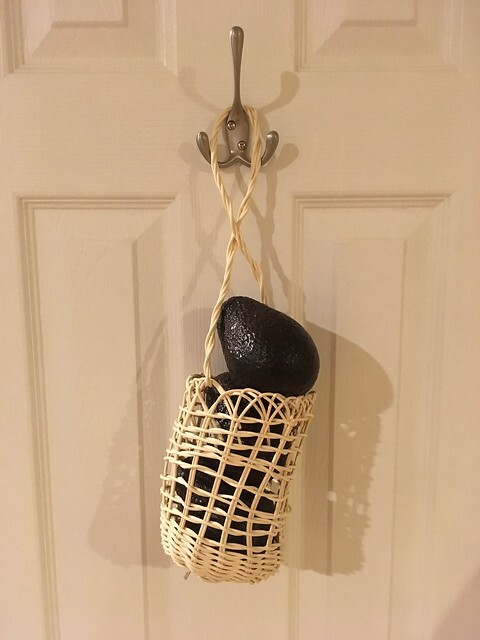 A great thing about basketry is that you can’t really do it wrong, so long as your product holds something. 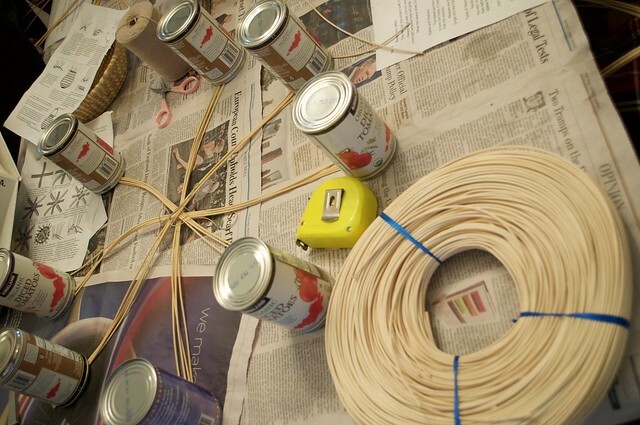 In Beginner Basket Making, Sara Kemme helped us jumpstart our new crafting hobbies. With her help, everybody but this writer was well on track to weaving a masterpiece. 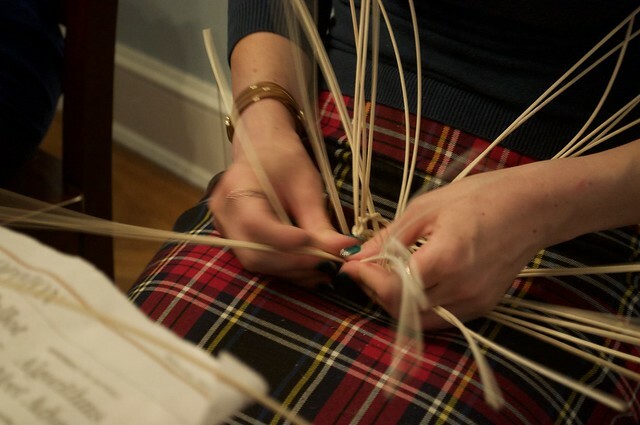 “The anatomy of a basket is pretty straightforward,” Sara told the group. Then you have your weavers which (you guessed it!) you weave around the stakes. We followed a basic pattern for a hanging basket that holds lighter objects like garlic. How the reeds are woven through the stakes — the tighter they’re pulled, the steeper the basket walls get. The way the basket-maker (or artisan, if you prefer) directs the stakes upward. Sara explained how in past demonstrations, people have ended up making placemats after forgetting to steer the process. To avoid such a mistake, weavers can use objects, like cans or bottles, as molds for the desired shape. 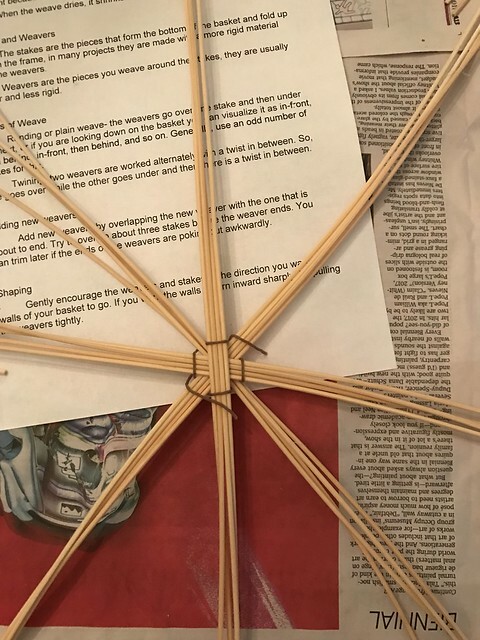 Simple basket making doesn’t require many materials, just enough substance to reach your goal, water to dampen the material and make it flexible, and scissors to trim it. 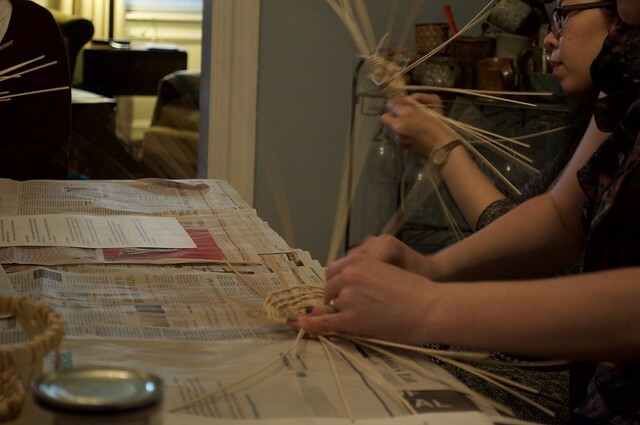 We used thin rolls of rattan for the class, but experienced weavers work with a variety of materials, including natural bits like flexible vines. The pattern we used, though easy, is interesting because no basket ever seems to come out the same — especially among inexperienced weavers. 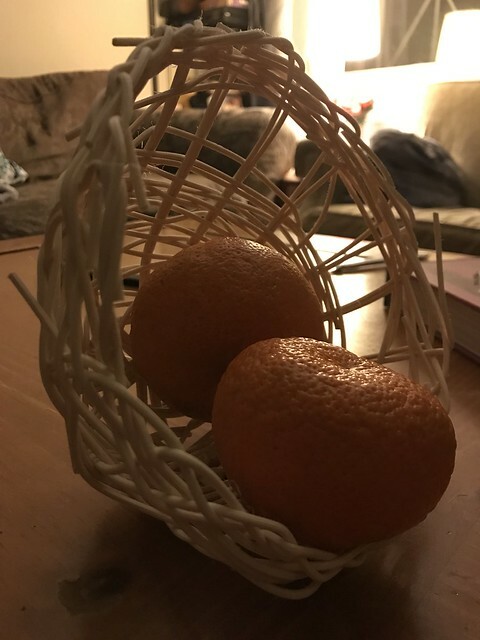 This held true for us: Each basket was, indeed, unique. But each is beautiful, and they all hold something.